It’s been far too long since I’ve written on this blog – the main reason being, I started a new job and it’s taken up so much of my time, both literally and mentally. I think I’m getting more into the swing of things now though and I’ve been missing some creative outlet, which has sadly been usurped by pivot tables and datasets. 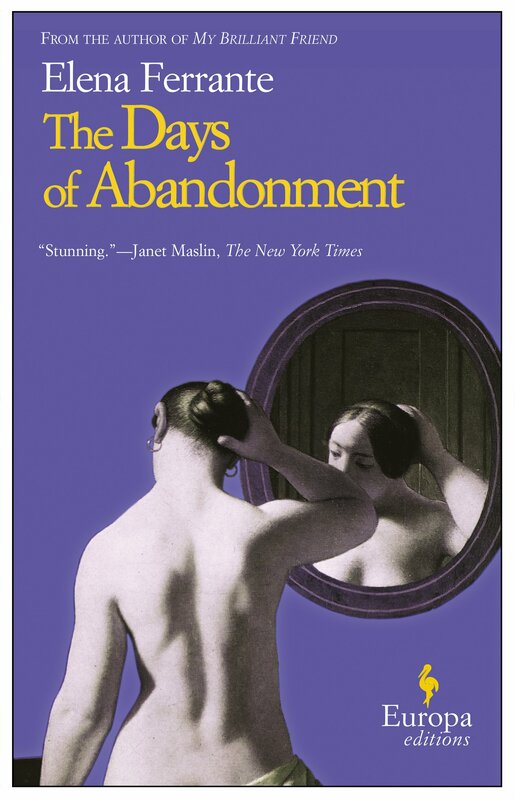 A book I recently picked up is ‘The Days of Abandonment’ by Elena Ferrante. I was going to Budapest for a short holiday and I wanted something that didn’t look too overwhelming, and its relatively svelte size and the premise immediately drew me in. I bought it without knowing it was a translated novel which I’m not the biggest fan of – I think a lot of things can get lost in translation – but that said, I’ve read some real gems that have been translated and the reviews included were (obviously) glowing, so I thought I’d give it a chance. The novel is about a thirty-eight year old woman, Olga, whose husband, Mario, has just left her for another woman. We are introduced to Olga at the time that Mario announces he is leaving and the few following months, where we witness her emotional distress and breakdown. Her grip on reality becomes weaker and this is evident in her unflinchingly negative feelings towards her children, which I found refreshingly honest. Ferrante writes in first person narrative so you are able to enter the thoughts of Olga’s increasingly clouded mind – her language becomes malicious, full of hard cussing and sexually explicit passages. While the story drew me in – I am always especially interested in reading about characters enduring some kind of emotional turmoil; perhaps this is some sort of morbid curiosity of mine, or an opportunity for self-assurance – much of the writing was far too exaggerated and overblown. I am interested to see whether this writing style is typical of many Italian authors as I have noticed, for instance, that the novels by Japanese authors that I have read tend to share the same fondness for poetical restraint and subtlety. This is the opposite and at times, I found it to be inordinate – as a reader, I never like to feel that the author is making damn well sure that I will feel something. On many occasions, I felt as though Ferrante was labouring a point or a metaphor which meant that it actually lost its effect. In conclusion, I found the premise of the story interesting which incentivised me to finish the book, which I did in three or four days. However, the writing was far too predictable and lacking in nuance for my liking – it was almost as though the pages were shouting, ‘OLGA IS A DESPERATE WOMAN HAVING A BREAKDOWN, SHE’S LOSING IT’ which sort of detracted from any real emotional connection and empathy with the protagonist.